Our Winter 2018 issue pays tribute to the presence of poetry at the University of Michigan. 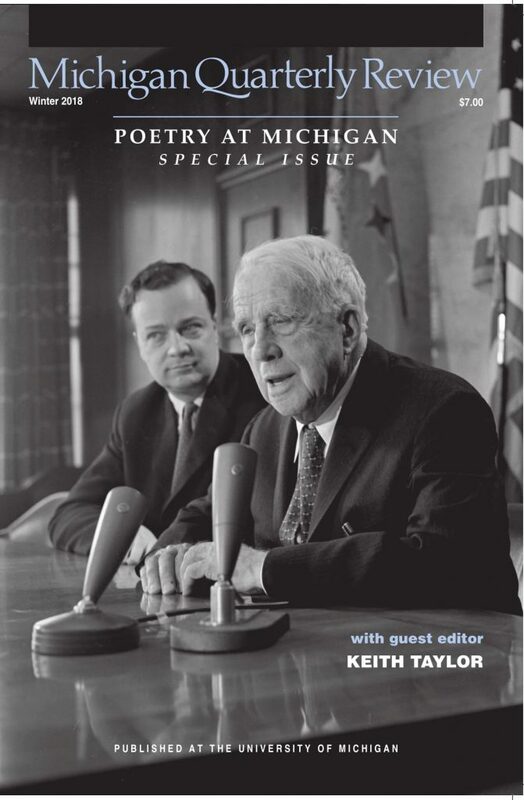 This special issue offers an in-depth look at some of the poets, past and present, who have made significant contributions to the growth and cultivation of poetry at the university, including Robert Frost, Seamus Heaney, and Donald Hall. 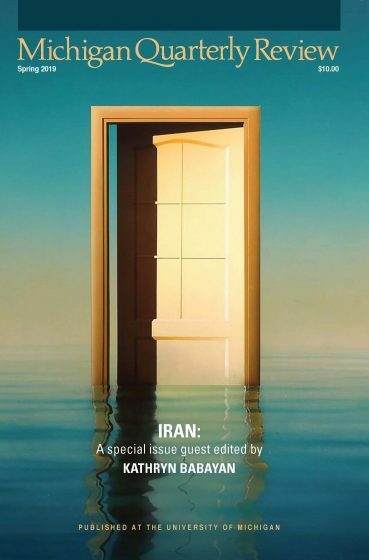 Former MQR poetry editor Keith Taylor curated the issue’s content, including poetry by Lorna Goodison, Paisley Rekdal, and Laura Kasischke, as well as essays and interviews. Poems by Lorna Goodison, Dave Lucas, Paisley Rekdal, Diane Raptosh, Scott Beal, Rae Gouirand, Donald Hall (with an accompanying photo essay by Sarah Innes), Zilka Joseph, Elizabeth Schmuhl, Demetrius Buckley, Dell Konieczko, Cozine A. Welch Jr., Cody Walker, Benjamin Paloff, Thylias Moss, Thomas Robert Higginson, and Laura Kasischke. Essays by Paul R. Dimond, Laurence Goldstein, Ken Lauter, Richard Tillinghast, H.R. Webster, and Bob Hicok. Plus: Francey Oscherwitz interviews Seamus Heaney, Philip Metres interviews Lawrence Joseph, and Vassilis Lambropoulos reviews Austerity Measures: The New Greek Poetry (NYRB Poets, 2017), edited by Karen Van Dyck.